Contact us to receive a trial. 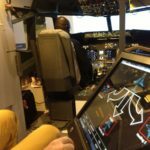 It is dedicated to start and control automatically all your software’s needed for your simulator and shared on several computers. 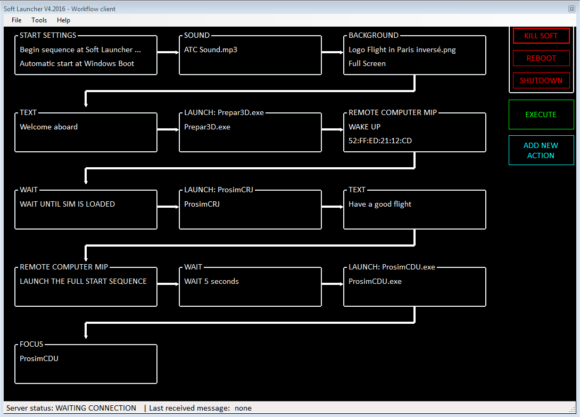 Soft Launcher manages all you need to automate and customize your start sequence. 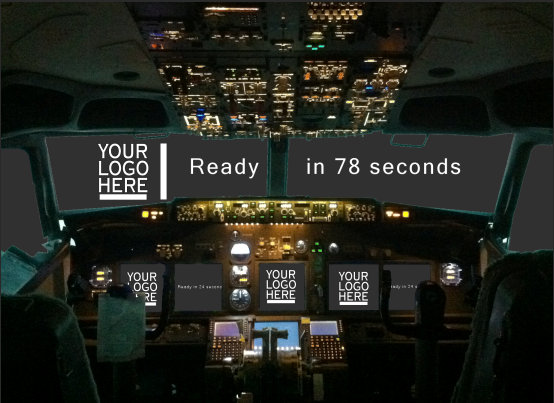 During start, pilots see only a splash screen with a timer and a logo (Ready in x seconds). The user doesn’t see the Windows desktop. All software are launching in the background. As soon as everything is ready, Soft Launcher gives the hand. It looks more professional than click on icons and see each software starting. 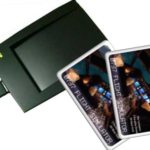 You just have to supply electrical power and after a while, your sim is ready to fly! 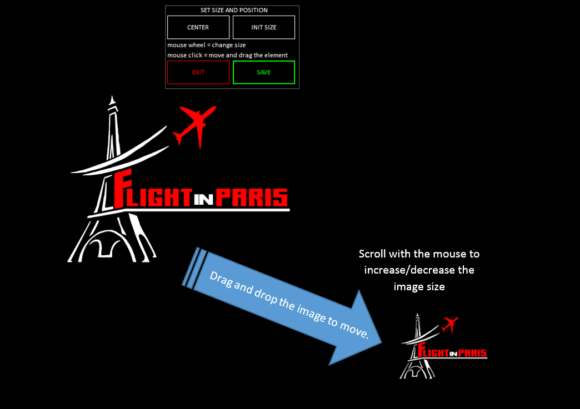 Create you own start sequence: With the mouse you decide the size and the location of your image and text. 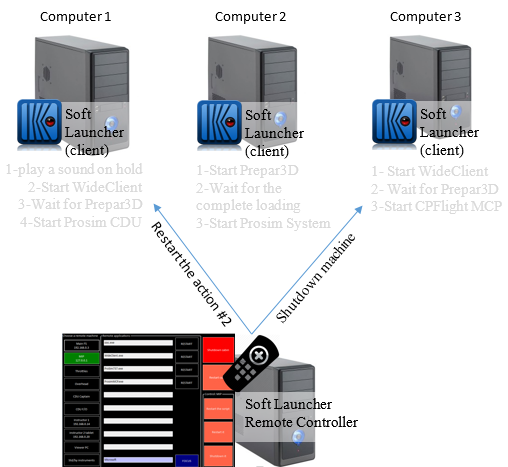 It is a remote to control all your Soft Launcher remotely. 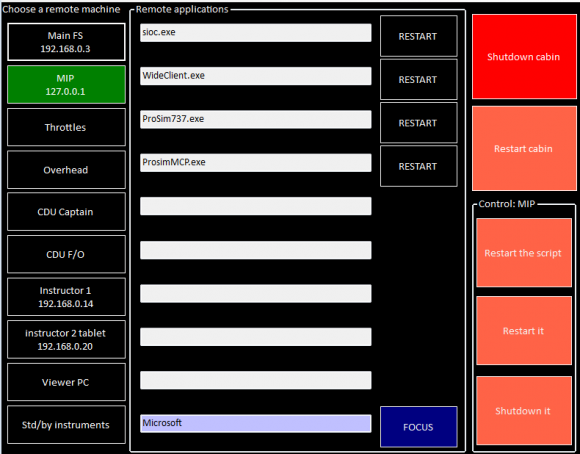 You can start/stop/Restart a software, a machine or all machine at the same time. Thanks to this software you can also manage these software’s. 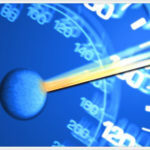 Imagine your gauges don’t react. With the remote you ask, by remote, to kill and launch again this software only. No one sees your action. Soft Launcher V4 is not compatible with FS Instructor V2 and V3. If you own a previous Soft Launcher version and would like to migrate to the V4. Please contact us to know the dedicated cost. If you are integrator, please contact us to give you access to our license generator.